Do you ever shop for shoes in one of our American Fork area shoe stores? When you choose new tires in LINCOLN, what's the most important factor for you? Give us a call at Norm's Car Care at (402) 483-2418 for tire recommendations. You know, buying tires in LINCOLN is a big deal. It's a big ticket item so you know you'll be spending a lot. You're not only concerned about the price, but you want to know that it'll be a long time before you need to buy new tires again. And of course there's the safety aspect as well. The tires do a lot of work – they carry the weight of the vehicle and you and your passengers. They need to be up to the task. You want to be sure they hold the road and provide good traction. If you carry heavy loads or tow a trailer, the tires need a high load rating to be up for the job. As a tire professional, I think it's important that people understand the effect of price on a tire's performance and durability. When I was a kid, my dad had a saying, "Pay twice as much and buy half as many." I buy high-quality work shoes because I spend a lot of time on my feet. They're more comfortable, have important safety features like steel toes and non-slip soles and they last at least twice as long as cheap shoes. I feel I get very good value for my money. I apply the same thinking to tires. The major tire brands that you're familiar with are known as Tier 1 tires. These tires are well-engineered and very high quality. 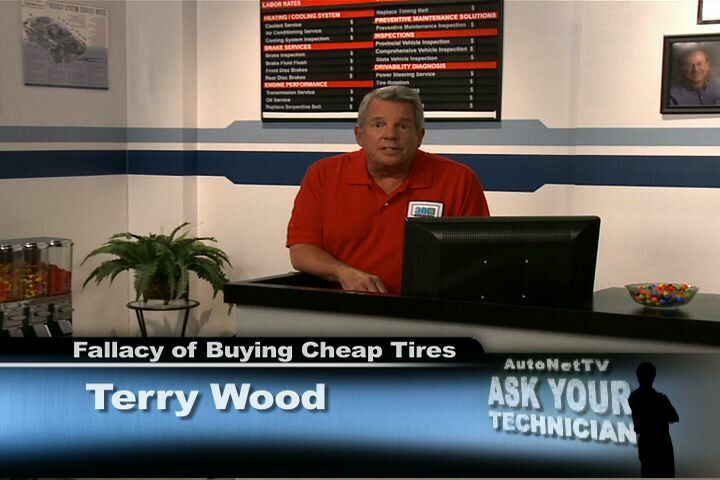 Comparable tires are usually in the same price range from brand to brand. Stepping down in price you come to private label tires. Some large tire store chains carry tires with the chain's own brand. It's important to know that most private label tires are built by the same Tier 1 brands that you are familiar with, so they are a quality product. You can ask your tire professional who makes their private brand. The lowest priced tires on the market are Tier 3 tires. These tend to be imported from China or South America. Since you get what you pay for, you can't expect a Tier 3 tire to deliver the same performance and durability as the others. So let's say you need new tires. You've determined the features you need. So you have several options, including price options. Now, you've probably heard the term 'it's a 40,000 mile/64,000 km tire' or 'it's a 60,000 mile/97,000 km tire'. Simply put, the manufacturer warrantees the tire for 'X' number of miles/kilometers. If that's important to you, look for the warranty. What's the difference in the tires with higher mileage warranties? It's the rubber compounds and the amount of tread material. As you might expect, you'll pay more for the longer-lasting tire. Now the cheapest tires you can find won't have a manufacturer's mileage warranty, or if it does, it'll be relatively low. That brings us back to dad's saying; if you buy the cheapest Tier 3 tire you can, you will likely go through two sets in the time it would take to wear out one set of good quality tires. And the good tires won't cost twice as much, so you'll end up paying more per mile/km driven with the cheap tires. Hey, I realize that sometimes the budget will only allow for a Tier 3 tire. I make them available for my customers who need them because I would rather see them driving with safe, new tires than pushing their old tires beyond their safety limits. But at Norm's Car Care, we always counsel our customers to buy as much tire as they can afford, because it will be much less expensive in the long run. Your tires are the only parts of your vehicle that touch the road. You're only as safe as your tires are well built.